Following a heated exchange with his heirs, the patriarch of the Lee family is found murdered. The door to the room in which his body was discovered had been locked from the inside and the windows had not been moved. So, who did it? Through a series of interviews, Hercule Poirot and a crew of local policemen will attempt to uncover the culprit and solve a murder over the holidays. Hercule Poirot’s Christmas is structured much in the same way as both Hallowe’en Party and Murder on the Orient Express. As the reader, you’re given an impossible scenario with a list of suspects that given their presence in the home at the time of the killing, logically must have committed the murder. Then, throughout the rest of the story, they’re all interviewed one by one as Poirot tries to poke holes in their stories and attempt to bring to light the party responsible. While this isn’t my favorite Poirot to date, it’s up there. Then again, I can likely be easily swayed by some Christmas window dressing. I am however, finding that I need to take long breaks between these books as I’m not the biggest fan of the Poirot character. In the books I’ve read, he has the odd quip here and there, but otherwise, he seemingly only exists to be the smartest man in the room. I know that’s kind of a silly criticism when you’re talking about a brilliant detective, but there’s nothing particularly interesting about him, nor does there seem to be much of an evolution to the character. He often feels like he’s the only one playing with a full deck of cards which led to me nearly rooting against him. 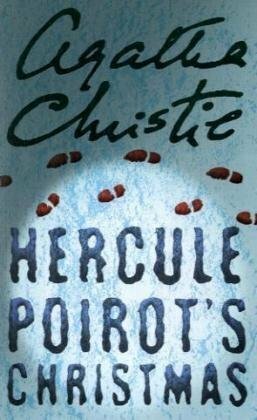 Not that you need me to tell you, but Christie is a master of structure and plot and Hercule Poirot’s Christmas is no exception. If you could possibly have solved this murder before it is revealed, kudos to you. This isn’t one I saw coming. Then again, I’m rarely ever the smartest person in any room.